Or more about Mary than Jesus, generally speaking. But it can also go the other way, that the significance of this Woman is harmfully downplayed. For Mary is as big a deal as Our Lord makes her. Why is she “the masterwork of the mission” of God? Because Mary is a type and image of the Church herself, which is the Bride of Christ. One could say that she is the incarnation of the Church itself insofar as her person became a literal “sacrament of salvation.” For it was through her that the Savior came into the world. In the same way, it is through the Church that Jesus comes to us in the Sacraments. But again, she is more than an icon of what the Church is, and is to be; she is, as it were, a parallel vessel of grace, acting beside and with the Church. One could say that, if the “institutional” Church distributes sacramental graces, Our Lady, through her role as mother and intercessor, acts as a distributor of charismatic graces. 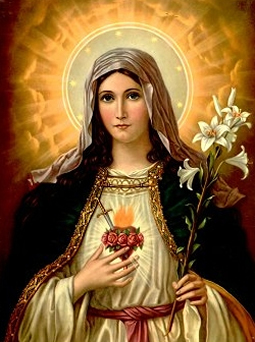 I say that Mary is the “distributor” or, what the Catechism calls the “Mediatrix” cf. CCC, n. 969 of these graces, precisely because of her motherhood assigned to her by Christ through her union with the Holy Spirit. cf. John 19:26 Of herself, Mary is a creature. But united to the Spirit, she who is “full of grace” cf. Luke 1:28 has become an Immaculate dispenser of graces, foremost of which is the gift of her Son, Our Lord and Savior. So while “sacramental” graces come to the faithful through the sacramental priesthood, of which the Pope is its pre-eminent head after Christ, “charismatic” graces come about through the mystical priesthood, of which Mary is the pre-eminent head after Christ. She is the first “charismatic”, you could say! 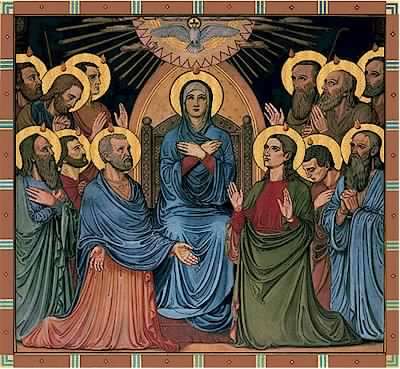 Mary was there, interceding for the infant Church at Pentecost. Again, none of this ignores or overshadows the basic truth that the Holy Trinity is the principal source of all of Mary’s, and indeed, the whole Church’s glorious participation in the saving work of Christ. see CCC, n. 970 So “Life through Mary,” yes, but the life we speak of is the life of Jesus Christ. 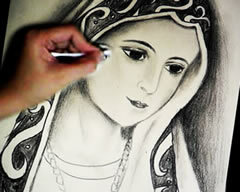 Mary, then, is a privileged participant in bringing this life to the world. And so are we. 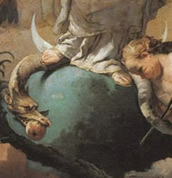 And will it surprise you then that both Mary and the Church share in the crushing of Satan’s head—not just Jesus? I could go on with other Scriptures, but I have covered much of that ground already (see Related Reading below). The main purpose here is to understand why Mary is the refuge. The answer is because so is the Church. The two mirror each other. When I was in RCIA, I read voraciously — in truth, in the early weeks, trying to find the “catch” in Catholicism. I read about 30 dense books of theology and encyclicals and Church fathers in scarcely more than 30 days in this effort. I remember my sense of real wonder to discover that, even with some very miserable men occasionally holding the office of Pope, in 2000 years there had not been a doctrinal contradiction. I worked in politics — I could not name a large organization that had gone 10 years without a significant contradiction. That was a powerful sign to me that this surely was Christ’s vessel, not man’s. Not only truth, but from the Catholic Church we also receive sanctifying grace in Baptism, forgiveness in Confession, the Holy Spirit in Confirmation, healing in Anointing, and the continual encounter of Jesus Christ in the Eucharist. Mary, as our Mother, also continually leads us in an intimate, personal, and mystical way to He who is the Way, the Truth, and the Life. But why didn’t Our Mother say her Heart and the Church are to be our refuge in these times? Because the Church this past century since her apparitions in 1917 has undergone a terrible crisis. The faith has been all but lost in many places. The “smoke of satan” has entered the Church, said Paul VI. Error, apostasy, and confusion have spread everywhere. 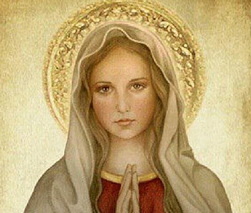 But curiously, through all of this—and this is only a subjective poll—I have met thousands of Catholics throughout North America, and I find that among souls who have an authentic devotion to Mary, the vast majority of them are faithful servants of Christ, His Church, and her teachings. Why? Because Our Lady is a refuge that protects and leads her children into the Truth and helps them deepen their love of Christ Jesus. I know this by experience. Never have I loved Jesus more than when I have also loved this Mother. 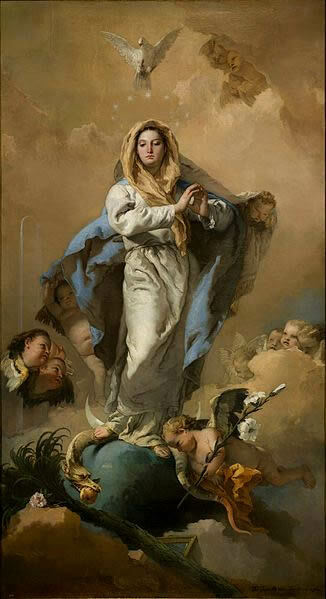 Our Lady is also our refuge in these times precisely because the Church is going to undergo a painful persecution throughout the entire world—and it is well underway in the Middle East. When there are no Sacraments available, when there are no buildings to pray in, when priests are hard to find… she will be our refuge. Likewise, when the Apostles had scattered and were in disarray, was she not the first one standing fast beneath the Cross to whom John and Mary Magdalene drew near? She will also be a refuge beneath the Cross of the Church’s passion. She, whom the Church also calls the “ark of the covenant”, CCC, n. 2676 will also be our ark of safety. But only so as to sail us into the Great Refuge and Safe Harbour of Christ’s love and mercy.